A Daughter's Quest and Biography of Ted Lewis "The Jazz King"
Me and My Father's Shadow is both biography and autobiography woven together. 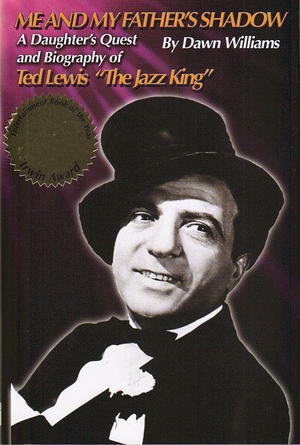 It tells the story of Ted Lewis, "The Jazz King," originator of The Big Bands, and considered by many of his contemporaries as the most famous and highest paid bandleader, recording artist, entertainer, and movie/radio/television personality of the twentieth century. This quest and biography is told by his daughter, and only child, whom he never knew.